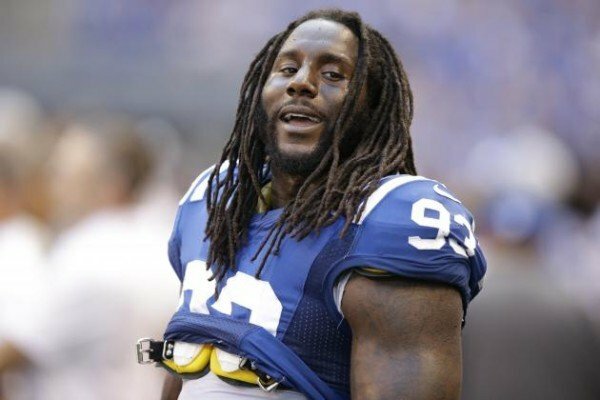 Home Tags Posts tagged with "outside linebacker"
Atlanta Colts outside linebacker Erik Walden was reportedly stabbed by his ex-girlfriend Erika Palmer, while his current girlfriend suffered a broken arm. According to Jovita Moore of WSB-TV 2 in Atlanta, Erik Walden’s ex-girlfriend, with whom he has two kids, decided to drive all the way to Georgia, stopping at WalMart to get a knife and a bat, and then proceeding to stab Walden with the knife and break his current girlfriend’s arm with a bat. It appears Erik Walden didn’t want to press charges. In 2011, Erik Walden was charged with domestic violence against Erika Palmer, and he was required to complete fifty hours of community service as a result. Erika Palmer is reportedly jailed at this moment.